Codemasters has finally announced that F1 2014, the Formula One racing simulator, will be arriving October 17. The title will not be releasing on next generation consoles though; instead, it will only be available for Xbox 360, PlayStation and PC. 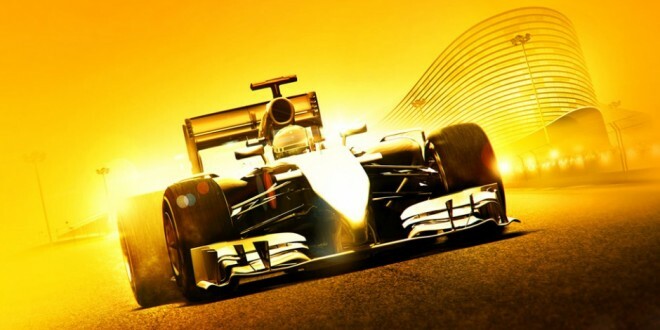 The publisher has confirmed that all the changes to the current season, such as turbochargers, rule changes and brand new circuits are all featured in F1 2014. Also making an introduction is a brand new driver evaluation system that will test your skills as a driver and change the setting accordingly, giving players a fairer challenge and allowing rookie players to be competitive. While F1 2014 will not be arriving on the Xbox One and PlayStation 4, Codemasters did also reveal that they are working on a game for those consoles. The next entry in the series, F1 2015, is being designed specifically for next generation technology and will release earlier than usual. This suggests that it could arrive much closer to the start of the actual Formula One season. The publisher went on to say on their blog that F1 2015 would receive continuous digital updates, bringing any team, car and driver changes directly to the game. Codemasters secured the rights to create Formula One games in 2009 and released their first game for the Nintendo Wii and PlayStation Portable in the same year. They went on to release a full console version in 2010 and have since released a version of the game for every season since. The franchise has been praised for its attention to detail and realistic racing physics, winning it awards including a Bafta.